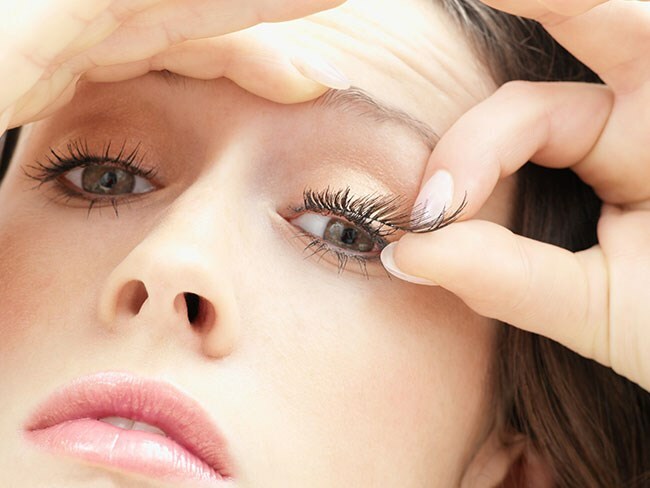 There are many eyelashes hacks to help your eyes look bigger. Considering how tricky applying eye lashes can be sometimes. 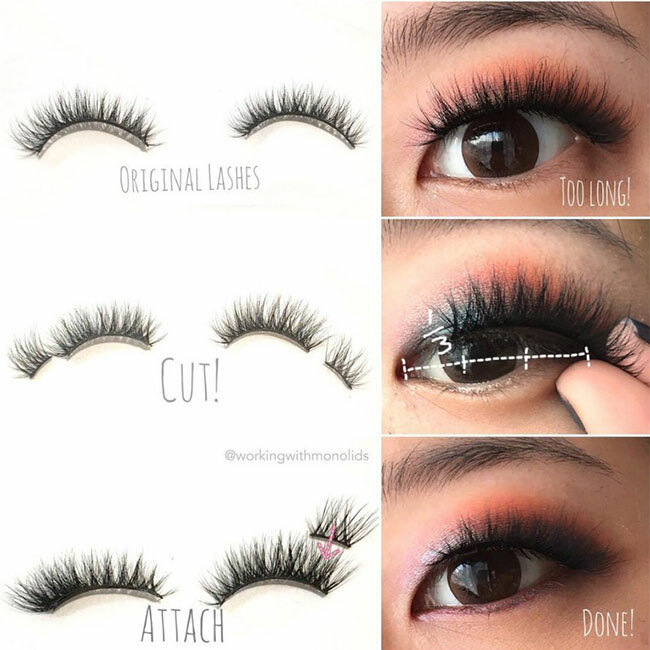 Fortunately there is a brilliant trending false eyelash hack that you will find helpful to ensure your effort and time will not be lost. One really creative Reddit user by the name of eraser_dust has thought of an ingenious way to apply your falsies lashes to make your eyes look bigger with a slight trim and modification of your full length false eyelashes. We love this lash hack and the look it provides. Hopefully you will find this false eyelash hack below helpful for your eyelash routine as well. "A lot of false lashes aren't designed for my smaller and differently-shaped Asian eyes, so this is how I modify them to fit my eyes better," eraser-dust wrote. She adds, letting the lashes cover your entire lash line often ends up looking odd (think lashes pointing in weird directions thanks to how your lids bend them), and it's sometimes even uncomfortable. She recommends to get your eyes looking bigger, try trimming the false eyelashes band about two thirds of the way along. Do not toss the trimmed one third portions. You can re-purpose the trimmed end of the eyelash to add volume and glam to your lashes. “What I normally do is attach it with a lash glue to the outer edge of my lashes, so that it’s thicker in the outer corners,” she wrote. First is to affix the trimmed one third with an eyelash adhesive to the outer edge of your lashes on top of the original two thirds. This will make the outer corner of your falsies lashes appear thicker due to double stacking.